Overview – Why Northwest General Insurance & Financial Services? Review Benefits & Services Offered – Group Health, Dental, Life, Disability, Voluntary Benefits, Keyman Benefits & More! Healthcare Reform – With much uncertainty currently surrounding the Affordable Care Act (ACA), clients need our help, now more than ever, to understand their obligations under the ACA. Click to review highlights of this complex law and then give us a call to make sure you are compliant. How it affects Individuals and Businesses. Healthcare reform is legislation intended to better our healthcare system in the US. Recent healthcare reform, known as the Affordable Care Act (ACA), will continue to be implemented over the next several years. It imposes complex new rules and guidelines for insurance companies, individuals and employers. Employers who have more than 50 or more full-time equivalent employees must offer those employees benefits that pays for 60% of the minimum essential benefits, as established by the ACA, or face a potential penalty. The penalty applies when you have 50 or more full-time equivalent employees, and do not offer health coverage to them, and at least one employee receives a premium tax credit/cost sharing subsidy in the exchange, your tax penalty is $2,000 annually multiplied by the number of full-time employees (excluding the first 30 employees). The penalty is increased each year by the growth in insurance premiums. Individuals must now obtain qualifying coverage either through an individual policy or through their employer or face a potential penalty. Currently the penalty is the greater of $695 for adults ($347.50 for a child) or 2.5% of income. The maximum family penalty in 2016 is the greater of 2.5% of income or three times the per-adult penalty ($2,085). No pre-existing clause. Insurance companies can no longer increase rates or deny coverage because of a pre-existing condition. Dependents up to age 26 may be added to an insurance policy for both individuals and employer coverage. Gender is no longer a factor in determining rates. Renewal rates are the same as new business rates. Waiting period should not exceed 90 days. 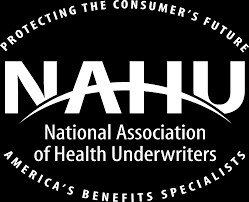 Individuals must purchase their health insurance during the annual open enrollment period. Failure to do so may result in penalties and having to wait until the next open enrollment to purchase coverage. Employers are able to offer benefits year round or during their normal open enrollment as usual. Note: Neither FSC Securities, nor its registered representatives, offer tax or legal advice. As with all matters of a tax or legal nature, you should consult with your tax or legal counsel for advice. To be in compliance with the new healthcare reform laws and avoid costly penalties, you must purchase Insurance coverage that pays at least 60% of the costs of the following “essential benefits. *To ensure you are compliance with the ACA, we recommend you call our office for assistance, as not everyone will interpret the law in the same manner. Tell us what type of insurance you need in the space below. Serving the insurance and financial protection needs of thousands of businesses and individuals throughout Texas for over thirty years. Security and investment advisory services offered through FSC Securities Corporation (FSC), member FINRA/SIPC. FSC is separately owned and other entities and/or marketing names, products or services referenced here are independent of SPF. This communication is strictly intended for individuals residing in the state of Texas. No offers may be made or accepted from any resident outside of the state specified. © Northwest General Insurance and Financial Services - 2017. All rights reserved.